Acute photokeratopathy (sunburn of the cornea or snowblindness). Skin cancer of the eyelids and around the eyes. Sunglasses which meet the Australian Standard AS1067:2003 and a broad-brimmed hat can reduce by up to 98% the amount of ultra-violet UV radiation that reaches the eyes. Wrap-around, close-fitting, large sunglasses help to reduce the amount of reflected glare and UV radiation that reaches the eye by passing around the edge of the sunglasses. The Australian Standard (AS/NZS 1067:2003) classifies sunglasses and fashion spectacles based on the amount of UV radiation that passes through the lenses, as well as defining lens dimensions (width and height) and safety requirements. The tint darkness or lens colour of the sunglasses does not indicate the level of UV protection. Compliance with the Australian Standard AS1067:2003 is required and compliant sunglasses that fall into Categories 2, 3 or 4 are reccommended. Most fashion sunglasses are either category 1 or 2, while Fuglies Polarised Sunglasses are rated as category 3 - high sun-glare reduction and UV400 level UV protection (equivalent to EPF9). Australia has the highest rate of skin cancer in the world and each year more than 1600 Australians die from this almost entirely preventable disease. Slop on SPF30+ sunscreen - make sure it is broad spectrum and water resistant. Put it on 20 minutes before you go outdoors and every two hours afterwards. Slide on some sunglasses and make sure they meet Australian Standards AS1067:2003 for UV protection - either EPF 9 or 10, or a UV400 rating. Extra care should be taken between 10 am and 3 pm when UV Index levels reach their peak. A 'SunSmart' school has a sun protection policy that meets The Cancer Council criteria for actively reducing student and staff exposure to ultraviolet (UV) radiation, and reducing the risk of sunburn, skin cancer and UV-related eye damage by implementing procedures and policies that limit sun exposure. schools, in partnership with families and their communities, can help reduce UV radiation exposure and change behaviour through policy, education and role modelling. Schools now have a responsibility to implement skin cancer prevention strategies for student and staff health and Fuglies Sunglasses seeks to assist SunSmart Schools discharge those responsibilities by supporting Sunsmart Schools programs with a range of polarised and glare-reduction sunglasses that offer EPF 9 UV400 ultraviolet radiation protection for secondary students and staff in accordance with Australian Standards AS1067:2003. Ultraviolet (UV) radiation is radiation that is emitted by the sun. The earth's atmosphere blocks all UVC radiation and all but a small amount of UVB, so the ultraviolet radiation at the earth's surface is mostly UVA and UVB. UVB is the most harmful for humans. The SunSmart UV Alert is issued by the Bureau of Meteorology when the UV Index forecast for the day is 3 or above, which can apply to most days. When the UV Index reaches 3 or above, skin damage and particularly sunburn can occur and the risk of skin cancer increases, so sun protection is required. The alert identifies the times during the day that the UV index will reach 3 or above, so people know when to adopt sun protection measures. UV levels are largely determined by latitude, cloud cover, time of year and time of day. For this reason it is important for Australians to understand that the UV index can change each day, and is different for each month and each season. Also, because the northern states of Australia are closer to the equator they have a higher UV Index then the southern states. It is important for Australians to understand that the UV Index can change each day due to cloud cover, and is different each month and each season. Australians should get into the habit of checking the UV Index regularly to see when they need to adopt effective sun protection behaviours. For eye protection in the workplace, tinted eye protectors that comply with Australian Standard AS/NZS1337 are recommended as these provide at least the same amount of protection against UV radiation as sunglasses, as well as impact protection. Fuglies Polycarbonate Safety Sunglasses meet this criteria. Since 2002 workers in a wide range of outdoor occupations have been able to claim the cost of sunglasses, hats and sunscreen as a tax deduction. This is because wearing sun protective clothing, sunglasses, sunscreen and hats is no different from wearing safety boots, hard hats or gloves to reduce workplace injury. 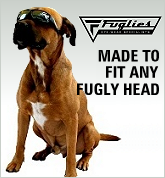 Fuglies Sunglasses are rated category 3 under AS/NZS 1067:2003 with regard to UV and IR eye protection, and are certified as safety glasses under AS/NZS1337, so on both counts they are tax deductible for outdoor workers. Shatter-proof medium impact safety rated UV400 glare resistant lenses and lightweight polycarbonate frames.